Catalogue > Cities: maps and sights of cities and villages > 7. South Holland > RIJSOORD. DE KERK TE RIJSOORT. 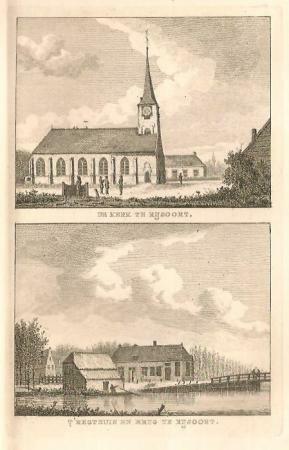 / T' REGTHUIS EN BRUG TE RIJSOORT.